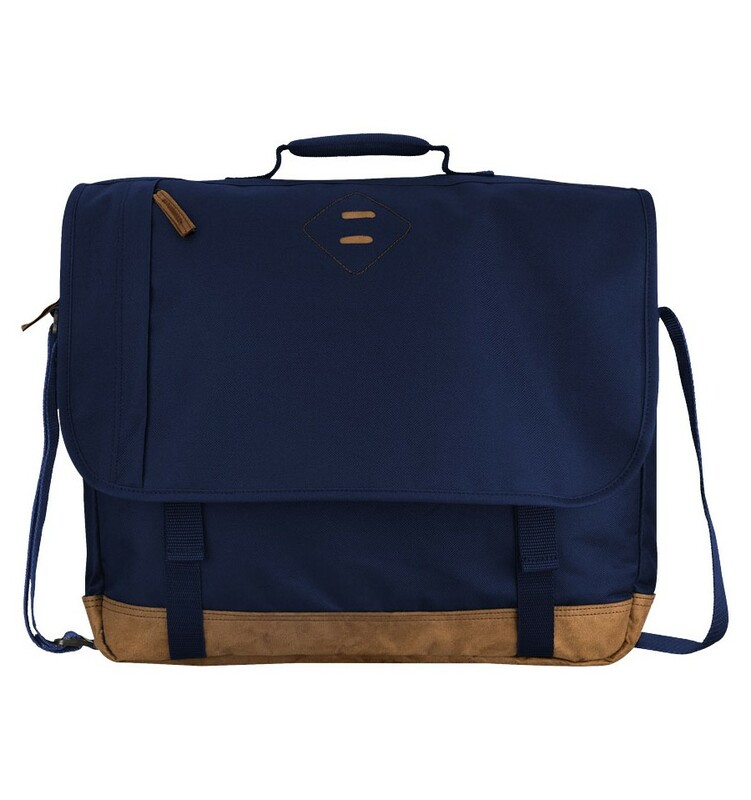 Chester 17" laptop shoulder bag. Exclusive design shoulder bag. 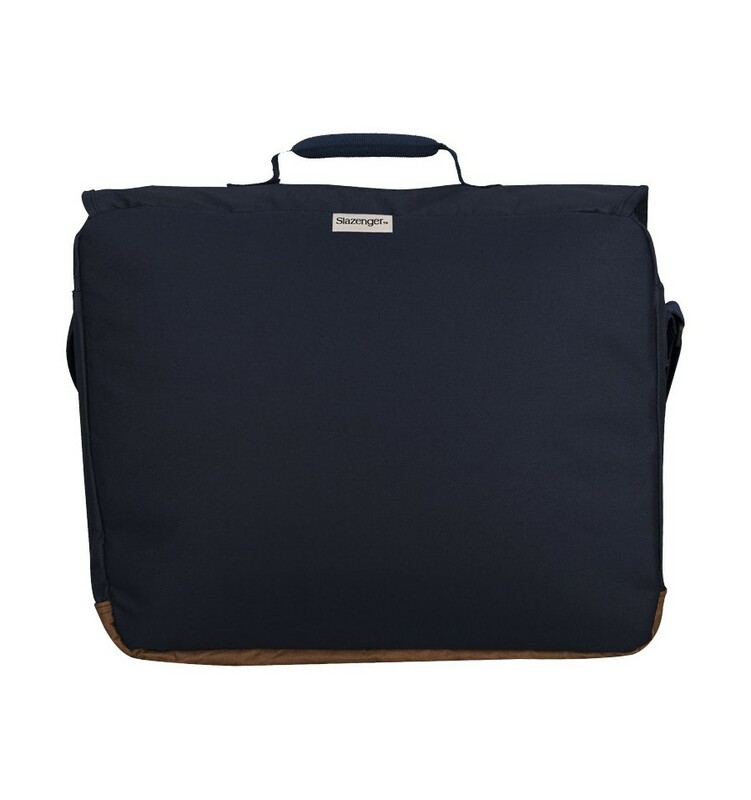 The zipped main compartment features a padded laptop sleeve to hold most 17” laptops and a padded tablet sleeve to hold 10” tablets. 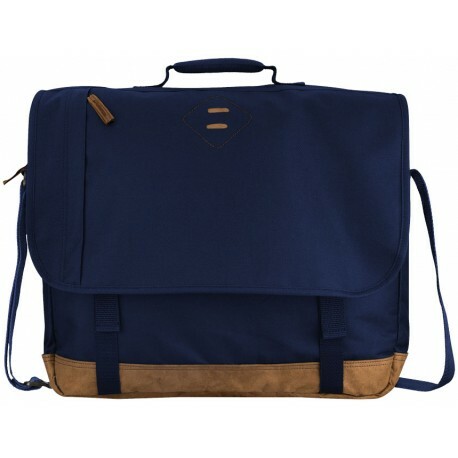 There is also enough room in the main compartment to carry books, files and folders. The messenger flap features a vertical zipped pocket and a pig-snout to store small accessories like keyrings or a carabiner. The flap can be secured by adjustable buckles. 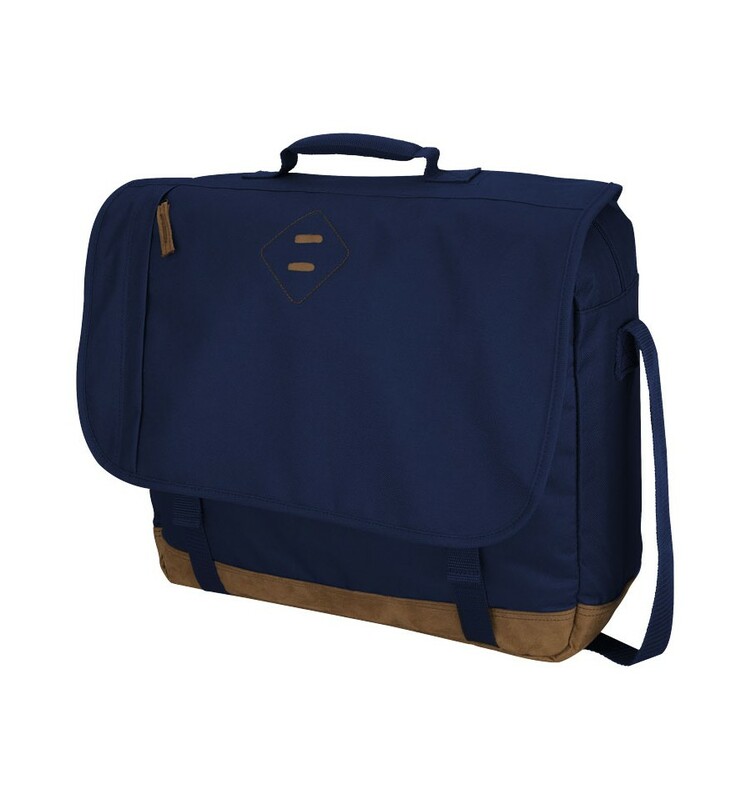 Adjustable shoulder strap with padded shoulder pad for extra comfort. 600D Polyester.